Columbia University Press is pleased to announce the publication of The Frontier Within: Essays by Abe Kōbō, Edited, translated, and with an introduction by Richard F. Calichman. · Abe Kōbō was one of Japan’s greatest postwar writers, known for his novels and plays. · This book provides a selection of Abe’s lesser known critical essays, which cover his thoughts on literature, history, art, politics, and philosophy. · Allows readers of Abe’s fiction to more fully appreciate the context in which he operated. · A substantive introduction by Calichman introduces readers to Abe the critic and intellectual and the historical context and intellectual currents that affected his work. Abe Kōbō (1924–1993) was one of Japan’s greatest postwar writers, widely recognized for his imaginative science fiction and plays of the absurd. However, he also wrote theoretical criticism for which he is lesser known, merging literary, historical, and philosophical perspectives into keen reflections on the nature of creativity, the evolution of the human species, and an impressive range of other subjects. Abe Kōbō tackled contemporary social issues and literary theory with the depth and facility of a visionary thinker. 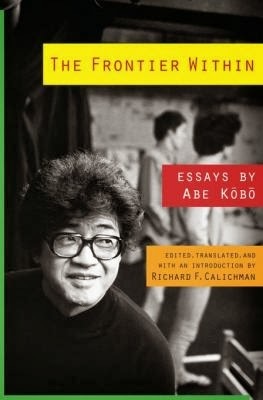 Featuring twelve essays from his prolific career—including “Poetry and Poets (Consciousness and the Unconscious),” written in 1944, and “The Frontier Within, Part II,” written in 1969—this anthology introduces English-speaking readers to Abe Kōbō as critic and intellectual for the first time. Demonstrating the importance of his theoretical work to a broader understanding of his fiction—and a richer portrait of Japan’s postwar imagination—Richard F. Calichman provides an incisive introduction to Abe Kōbō’s achievements and situates his essays historically and intellectually. Richard F. Calichman is professor of Japanese studies at the City College of New York, CUNY. His previous publications include Overcoming Modernity: Cultural Identity in Wartime Japan; Contemporary Japanese Thought; What is Modernity? : Writings of Takeuchi Yoshimi; and Takeuchi Yoshimi: Displacing the West. "The Frontier Within redresses the lopsided and biased understanding of Abe Kōbō as solely a writer of fiction. First and foremost a thinker, he was extremely conscious of the fundamental conditions in which language operated and human existence was formed. The essays in this volume provide wonderful insight into Abe Kōbō’s engagement with imperialism, border creation, postwar ‘democracy,’ U.S.–Japan relations, and postwar Japanese Marxism." —Atsuko Ueda, Princeton University, coeditor of Theory of Literature and Other Critical Writings Part of the series Weatherhead Books on Asia To find out more about this book click on this link.